This past summer (August 2013), I planned to find a new apartment. 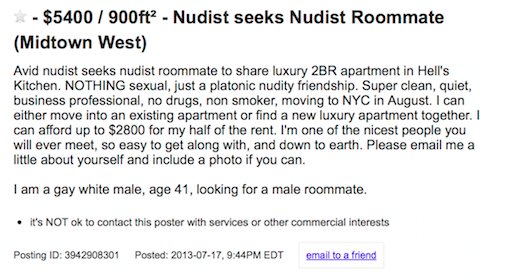 I wanted to find a roommate to get a value than I otherwise would renting a studio. Since I didn’t know anyone looking to move any time soon, I headed to Craigslist. Attempting to sign a lease with two strangers was an educational experience, and is a post for another day. 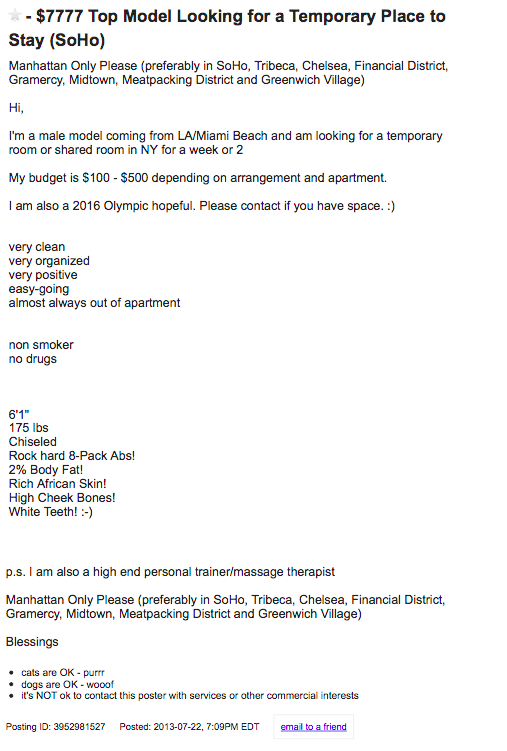 Less educational, but more entertaining was speaking with and meeting potential roommates from Craigslist. Here are three listings that tickled me to ⌘⇧4.